Jim Irwin, Apollo 15. Donn Eisele, Apollo 7. Ronald Evans, Apollo 17. Wally Schirra, Apollo 7. Neil Armstrong, Apollo 11. These are all Apollo astronauts who died of heart attacks or related complications. 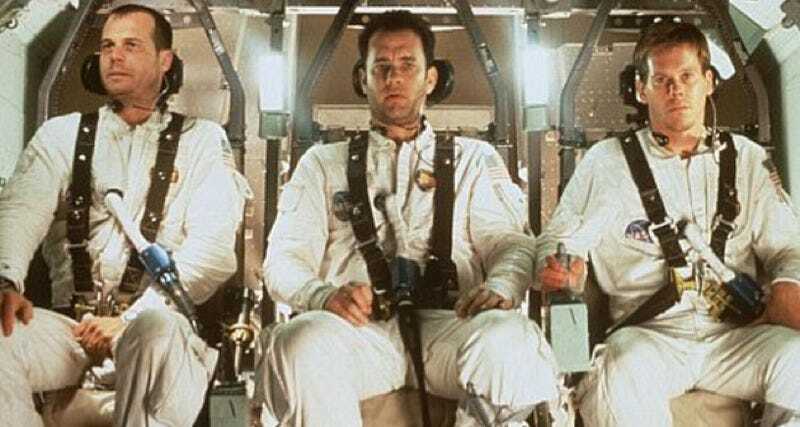 All told, 43 percent of deceased astronauts from the Apollo missions died from cardiovascular problems, according to a new study published today in Nature’s Scientific Reports. That’s between four and five times higher than astronauts who never flew on a mission or who never left low-Earth orbit. Michael Delp of Florida State University, lead author of the new study, believes the likely culprit of this higher rate is their unprecedented exposure to deep space radiation. This is in line with a 2014 paper that declared space radiation the number one risk to astronaut health beyond the low-earth orbit. There have been four prior studies of astronaut mortality, most of which actually showed lower mortality rates compared to the general population, particularly for cardiovascular problems and cancer. (Accidental deaths were higher for astronauts.) Delp’s group chose to focus specifically on the Apollo astronauts, however. He also used a different control group. Past studies drew on the general US population, especially people who lived near Johnson Space Center or worked there. Delp filled his control group with astronauts who had never flown, culled from the Apollo, Gemini, and space shuttle programs, as well as two cancelled Air Force space programs. This helped weed out possible confounding factors, given that your average astronaut is far healthier than the population at large. Delp felt it was important to publish the data nonetheless, because the ISS will be decommissioned in 2024, and several countries (including the US) are preparing for future manned missions to the moon and possibly Mars. If deep space radiation is having a negative effect on astronauts’ cardiovascular systems, the clock is ticking to figure out exactly what those effects are and how best to mitigate them. His team has also performed experiments with mice. They went to Brookhaven National Laboratory, the only place where mice can be exposed to this specific type of radiation. The type of radiation we experience on Earth is known to cause cardiovascular problems in mice, but at much higher doses than what astronauts are exposed to in deep space. But deep space radiation is much more damaging, even at much lower doses, so the adverse effects are potentially much greater. Delp and his colleagues found that one group of mice exposed to radiation showed signs of cardiovascular disease in the form of blocked arteries after six months—the equivalent of 20 human years. They compared this with a control group of mice that had been suspended by their hind legs to mimic the physiological effects of weightlessness, as well as group of mice that had been exposed to both radiation and weightlessness. The results: Weightlessness had some negative effects, but these wore off within six months. Radiation also had early negative effects, and so did the combination of the two, except in those two groups, the effects didn’t wear off. “That says that the cardiovascular system can recover from weightlessness, even though it’s an early effect, but the radiation effects are sustained,” said Delp. The same appears to be true for the Apollo astronauts. Delp and his colleagues are already working with scientists at Johnson Space Center on a follow-up study to gather more detailed information on the medical backgrounds of the Apollo astronauts. Who had a family history of heart problems, or diabetes, and which of them were chronic smokers? These are among the many confounding factors that could also have contributed to the higher rate of heart attacks. We still don’t know much about the adverse affects of deep space radiation on human health. But Delp’s team has given us a first glimpse into this complicated problem—the better to prepare for the manned space missions to come.